Full day luxury tour approx. 8 hours. 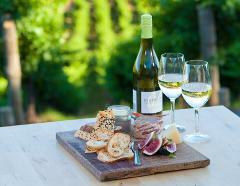 Tour includes: Seasonal platter at Pike & Joyce and all wine tastings throughout the day. *Sidewood Cellar Door is closed on Monday and Tuesday and will be substituted for another Adelaide Hills winery on these days. 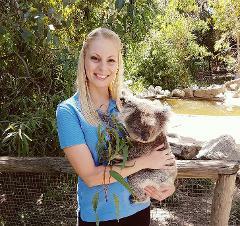 Tour includes: Wildlife park admission and koala cuddling, cheese tasting and your choice of beer or wine tasting. Please note: Prancing Pony Brewery is closed on Tuesday. In this instance we will visit an Adelaide Hills winery. For all other days you have your choice of beer or wine tasting. Enjoy free time in Hahndorf to explore and purchase your own lunch. Choose from over 40 cafes, pubs and restaurants within a 1km strip on the beautiful main street. Pop into Udder Delights for complimentary cheese tasting. 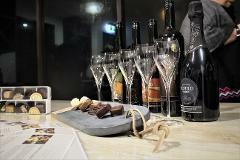 Tour includes: Wine, cider, beer, cheese and chocolate tastings and a hit of golf at Sidewood Cellar Door’s floating golf green. For bookings less than 24 hours before departure please call us. Haigh’s Chocolates factory tour is subject to availability and is closed on Sunday. In this event we can visit Melba’s chocolate factory in Woodside. 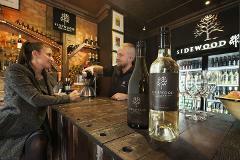 Sidewood Cellar Door is closed on Monday and Tuesday and will be substituted for another Adelaide Hills winery on these days. Prancing Pony Brewery is closed on Tuesday and will be substituted for another Adelaide Hills brewery on this day.